What makes a man marry six times? Was Henry VIII a voracious philanderer? 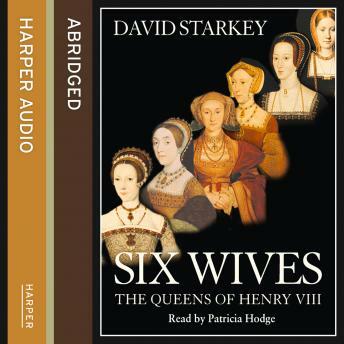 On the contrary, says Dr David Starkey, the King was seeking happiness - as well as hoping for a son.The first of his wives was Catherine of Aragon, the pious Catholic princess who suffered years of miscarriages and still births and yet failed to produce a male heir.As Henry VIII's interest shifted from her powerful Hapsburg relations and drifted towards France, so began his obsession with the pretty Lutheran Anne Boleyn.Jane Seymour's submissiveness was in contrast to Anne's vampish style - and Henry married her on the day of Anne's execution. Jane died soon after giving birth to the longed-for son.There followed a farcical 'beauty contest' which ended in the short marriage of the now grossly overweight Henry to 'the mare of Flanders', Anne of Cleves.The final part of Six Wives contrasts the two Catherines - Catherine Howard, the flirty child whose adulteries made a fool of the ageing King, and Catherine Parr, the shrewd, religiously radical bluestocking.